8 for Sale – Prices 330K – $1,390,000. As always contact me if you want to view one for these homes for sale or are thinking of selling your home! Details are in the header. 4388 N Sabino Mountain Drive is on sale as a short sale listed at $779,900 by Tucson Arizona Real Estate. This home is 12 years old, has over 4,700 square feet and is sited on 1.17 acres. It last sold 8 years ago for 920K and originally sold for 842K in 2001. Contact me if you want to view any Sabino Mt homes for sale or would like to explore the Tucson Area Housing Market; check my header for contact details! 4341 N Sunset Cliff Drive was just listed by Coldwell Banker for 330K. This is a 2,100 square foot, one-story home. Prices range from 374K – $1,390,000. Curious what 11 homes sold on Sabino Mt in only the last 6 months? 11 Sold in last 6 months. Sabino Mt is popular; want to sell your’s? Contact me. I have sold a dozen homes in beautiful Sabino Mountain. I can be reached at Donna@DonnaAnderson.com or call me at 520-615-2598. It is a great time to sell! I promise excellent service! A beautiful Outpost– built contemporary with mountain views has reduced its price down to 949K from an originally marketed price of $1,185,000 (listed by Long Realty). This 3,647 square foot home cost 655K when built in 2004; at this time it did not have a pool and spa, casita or major interior renovations; later it sold for $1,125,000 in 2006 after it had a pool and spa (no major interior renovations or casita added at this time). Now it has the much more aggressive price of 949K – click on the link 4222 N Quail Canyon so see all the wonderful upgrades. The photo above is of the Casita. 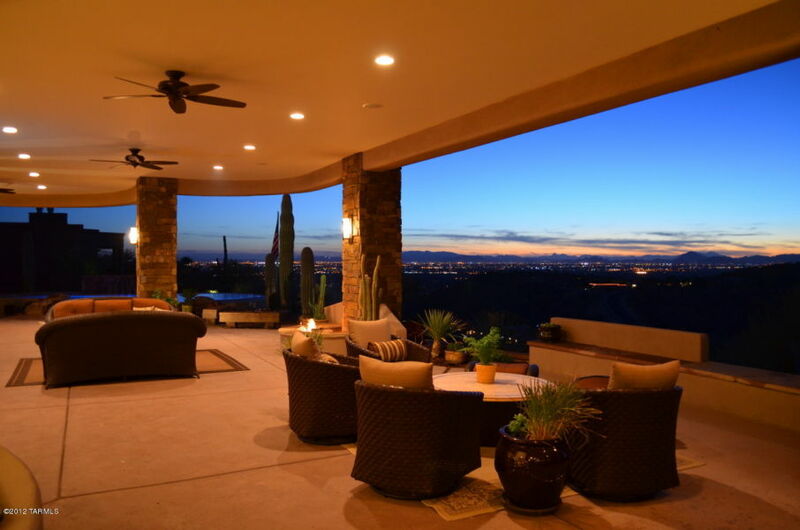 Sabino Mountain has had 11 sales in the last 6 months and there are 4 homes under contract. The popularity of the community is enormous. Give me a call if you would like to check out this beautiful property – my phone no. is 520-615-2598 or email me at Donna@DonnaAnderson.com. If you are thinking of selling your home, contact me and I can give you a current market analysis. Sabino Mountain Drive Home Sells for $1,374,000! 4187 N Sabino Mountain Drive sold last week for $1,374,000. This 5 year old, 4,455 square foot ridge-top home had “all the bells and whistles” including very upscale, retractable sliding door to the outside area from the interior living space. This is great for Sabino Mountain that had not seen a sale for over a million in the last few years! This one was marketed by the owner who is a real estate agent at Tierra Antiqua Realty. 4341 N Sunset CLiff Drive,(listed by Coldwell Banker Residential) a one-story home made it to contract at a List Price of 330K. This home was built by Monterey and has 2,100 square feet. It follows 2 others that just went under contract on Little Rock for close to the same List Price. Remember if you are thinking of listing your home, I have sold a dozen homes in our neighborhood; I promise professional brochures and photography; all my listings have explosure in multiple websites including Realtor.com, Sothebys.com, Zillow.com, Trulia.com, besides the Wall Street Journal and the New York Times. See my contact information on the Header. Two Little Rock homes have gone under contract this week – this one is 4484 N Little Rock with a List Price of 325K (Listed by Realty Executives Tucson Elite). This one has a rare outdoor spa and also boasts granite kitchen counters, a fireplace and hardwood floors. Contact me if you are thinking of selling your Sabino Mountain Home–remember I have sold a dozen homes in our neighborhood, or you want to explore the local homes for sale. (See my contact info on the header). You are currently browsing the Sabino Mountain Blog blog archives for April, 2013.